Here's Jennifer Connelly's shot at gaining a place in the illustrious final of the FA Cup of Actors. I'm quite glad that this came up as it's something that I'd fancied seeing for a while. I saw the original version some time ago and thought that it was suitably creepy and generally okay. Let's see what I make of this American remake of Dark Water (or to give it its title in Yorkshire: Dark Watter). 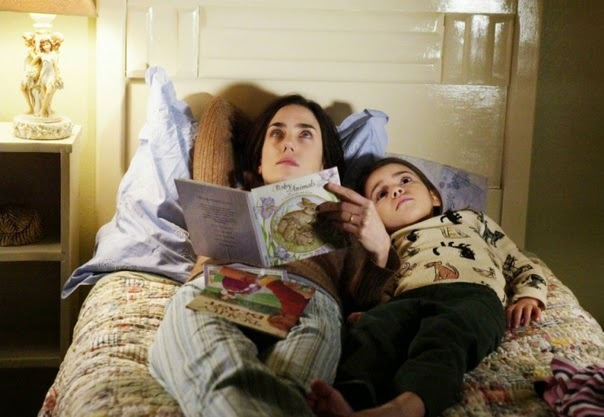 Dahlia (Jennifer Connelly) is splitting up from her husband (Dougray Scott) and taking her little girl Ceci (Ariel Gade of Some Guy Who Kills People fame) with her to a new apartment. 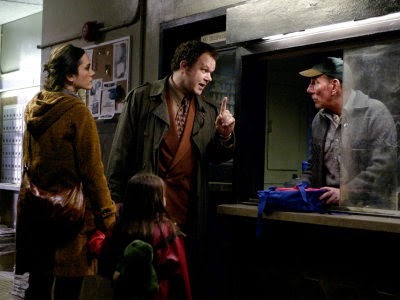 It's a shame that a dodgy estate agent (John C. Reilly) convinces her to rent an apartment in an entirely dubious location and it is run down in the extreme. It would be an understatement to say that damp is a problem. As things get worse for Dahlia, both in the flat and in her personal relationships, lawyer Jeff Platzer (Tim Roth) is on hand to advise. This is one long slow burn of a film; think House of the Devil long burn. I quite like it for that alone. Not having any kind of attention disorder, I can cope with things gradually unfolding. Eventually slow burners need to reach a point where something great or shocking happens but like the aforementioned film, Dark Water doesn't get to that point. The most potentially interesting relationship in the film is between Dahlia and her lawyer. Platzer's office is his car and he goes to the cinema on his own to see films like a real saddo. (You wouldn't catch me doing things like that. Not this week anyway. There's nothing on.) Yet he is a real professional and does a great job of sorting Dahlia's problems out. This was the most engaging thing for me but their relationship never gets resolved; Platzer just seems to drop out of the film in the final stages. 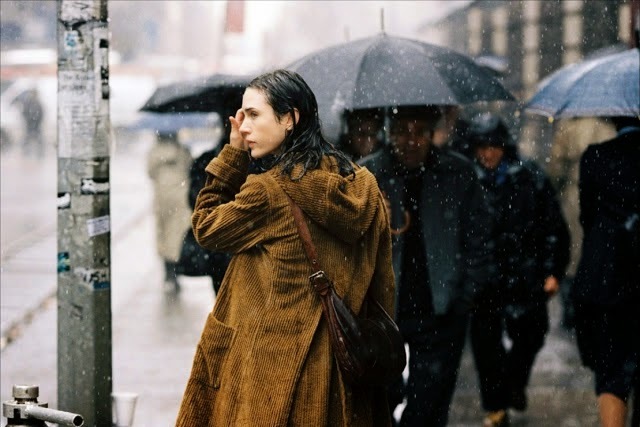 Jennifer Connelly does a good job of being a paranoid migraine sufferer. She doesn't quite go as deep as her role in Requiem for a Dream but you feel for her as her world falls apart. Her relationship with her daughter Ceci is also convincing. It doesn't harm things that she looks as though she could be Ariel Gade's real-life mother. 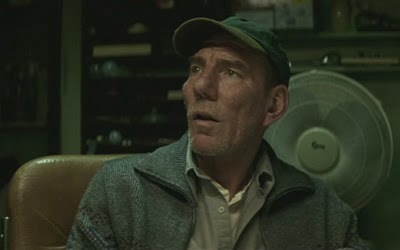 The less said about Pete Postlethwaite's accent the better. The question for a large portion of the film is whether the spooky goings on are supernatural or psychological. At one point in my life I'd have been desperate for the ghosts to charge out and slime everyone, but now I quite like the idea of it being more ambiguous, with clues littered throughout the film. I won't tell you which route Dark Water goes down. I half enjoyed this film but be warned, it is very grim. To get a feel for Dark Water go and live in Hull for a month and experience the never-ending rain, the smell of drains and the overwhelming greyness. (I lived in Hull for a few years and loved it despite it's grimness. It's got a shopping centre that is vaguely reminiscent of the Millennium Falcon. What more could you want?) If the ending had been better, it probably would have bumped this up to a six or even seven. But as it stands Connelly just doesn't quite have the attacking power that Page possesses. So Ellen Page is through to the final. 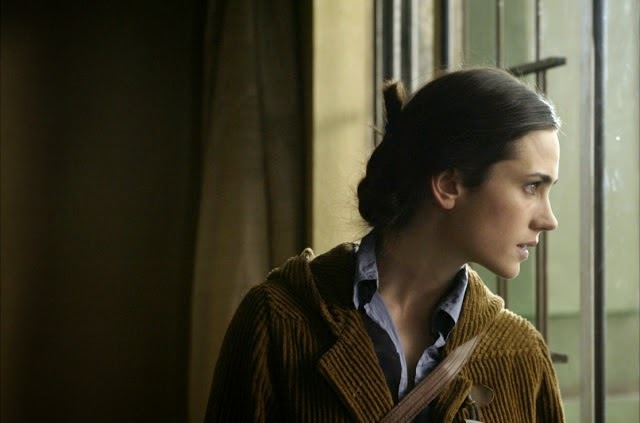 Dark Water (2002), The Ring.